(Newser) – Nike is getting out of the golf equipment business, a surprising announcement made Wednesday that's sure to send Tiger Woods, Rory McIlroy, and other players searching for new clubs and golf balls. Nike said it would stop making clubs, golf balls, and golf bags, instead devoting its resources to shoes and apparel, long its strength in the golf marketplace, the AP reports. Nike didn't say how the move would affect its golf equipment staff, either the reps on tour or in Fort Worth, Texas, where the clubs were made. 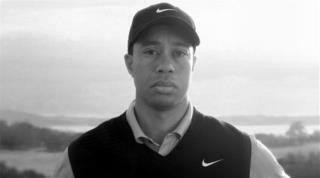 Woods has been with Nike since he turned pro in 1996 with a "Hello, World" ad, and he remains the most famous figure among Nike golfers. Tiger always used Mizuno anyway. Yes, Nike may have actually forged them, maybe not, but those were mizuno design. NIKE THE MUSICAL - "Bye-Bye Birdie"?